3. Don't be scared to take an iPad/laptop/MacBook - everybody does - just lock it away or carry it with you during the daytime. 4. Make sure you read hostel reviews online before booking - it can make a big difference. 5. Prepare for long trips - charge your iPod/phone/kindle - if you can't sleep, you'll need distractions or it will be a looong journey. 10. Be sociable - this might sound obvious but it'll help you discover things you might not have thought of doing and you'll get hostel recommendations which saves trawling through hostel world and hostel booker. 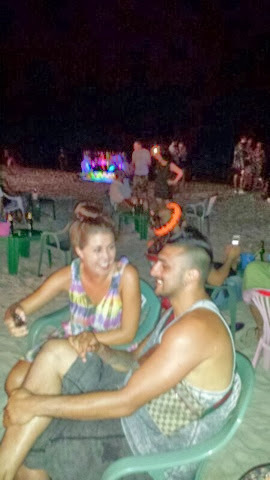 And you might meet people friends for life - backpackers are lovely people. And - just relax and have fun but keep your wits about you.